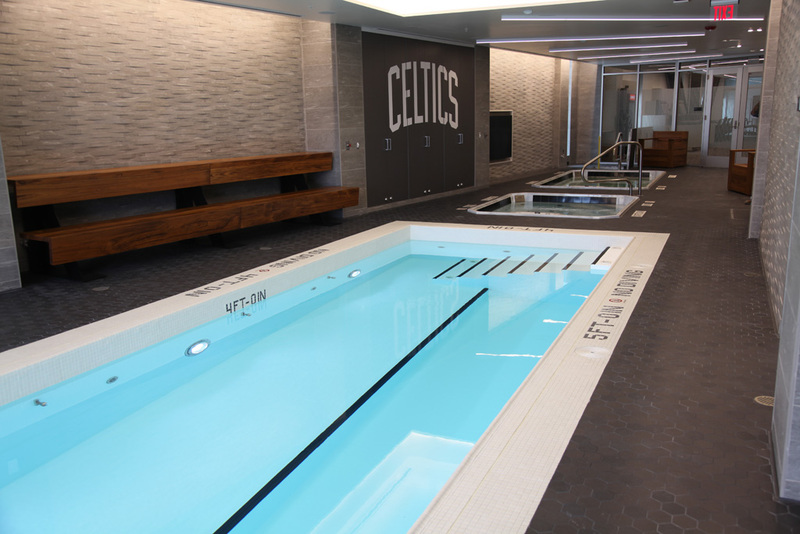 Celtics Training Facility Pools: Weston & Sampson installed a therapy pool and plunge pools for the Boston Celtics training facility. 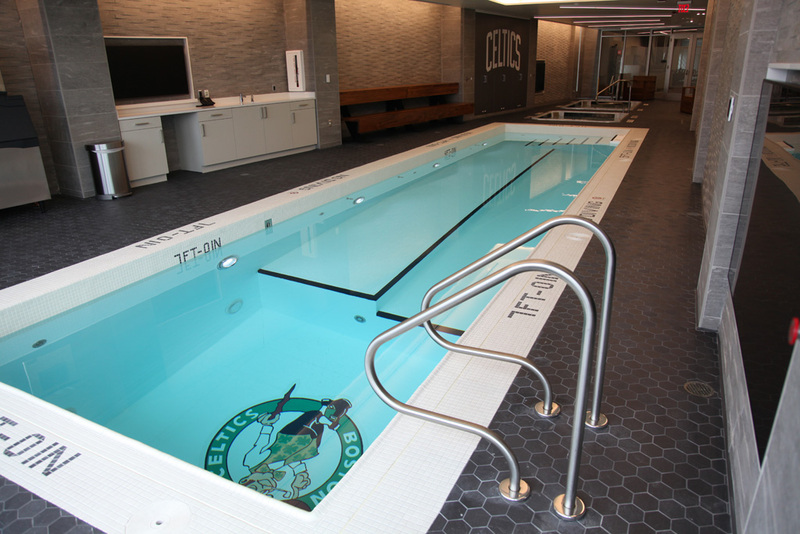 The facility includes a hot spa, a polar plunge pool, and a therapy pool. 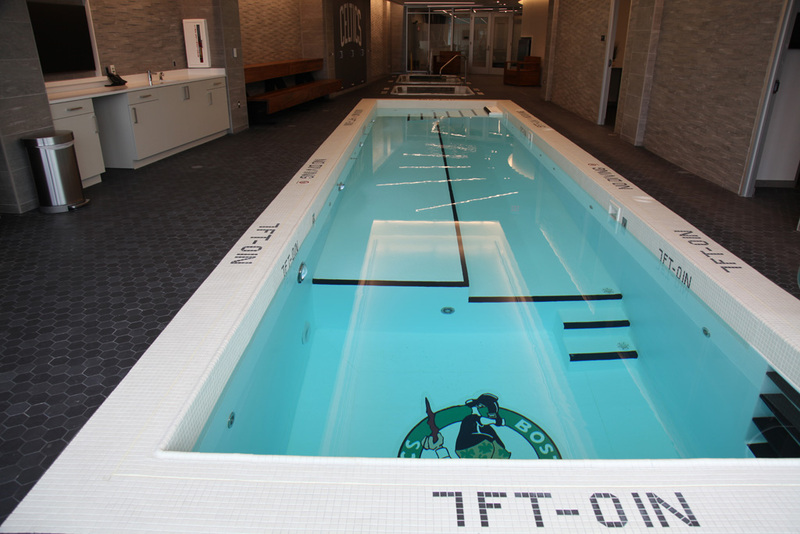 The therapy pool has a soft walk floor with multiple elevations for physical therapy as well as a swim jet. 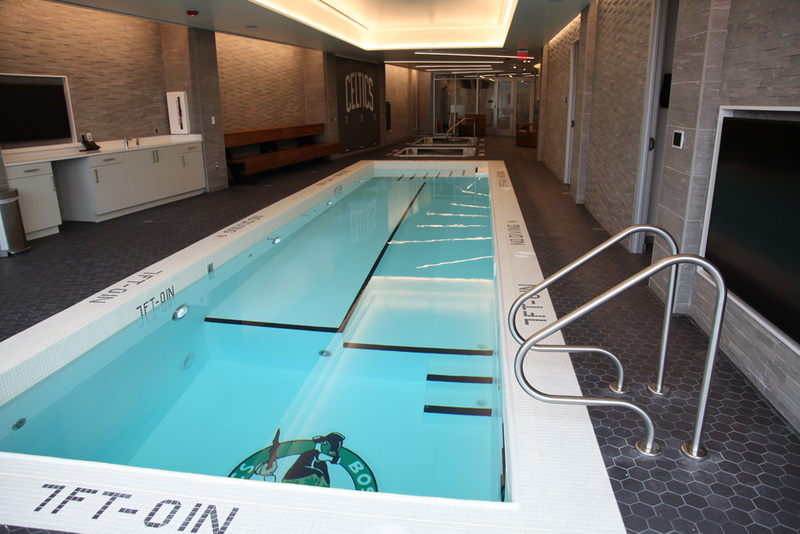 The pool was installed on an upper level above a finished space and has three layers of waterproofing to prevent leaks. 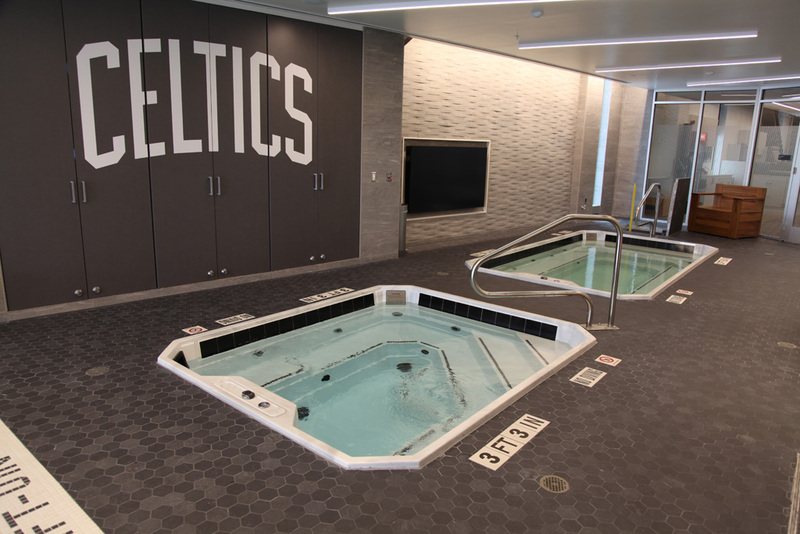 Posted in Construction, Pools & Splashpads.